and Hair checks will happen at My Home Vihanga. 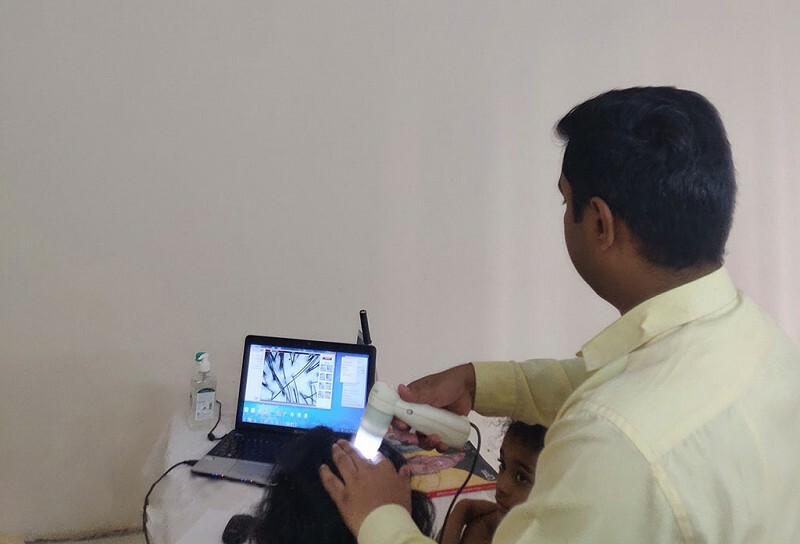 The resident of My Home Vihanga on each of our visits have shown immense interest in understanding first hand the implications of current times to the health of our hair. The resident of around 1200 apartments have had a host of concerns faced by them with some as simple as hair thinning and some quite aggravated in terms of balding. The primary objective of coming back again and again to Vihanga is the immense support that the entire team at Vihanga has given our team to feel at home and fulfil our objective of spreading more awareness about the silent problem of hair thinning and hair loss. Kudos to team Vihanga for the enormous success shown. Pro scopic images proved helpful and also helped us in converting clients for paid consultations. Q. What is the exact cause of hair loss? Hair as we know is one of the fastest growing tissues we have. Hence a lot of times small aggregations as well as harsh aggravations lead to sometimes short duration issues and other times of a longer nature. Since each individual has possibly a different concern the exact cause is also many times quite different. Having said that it is also quite known that food, water, sleep patterns, stress of any nature, either one or all of them put together can also be the contributing causes. A detailed consultation and a hair check is vital to identify the possible ailing reasons. Q. Alopecia areata case - do you have solution to the same? Hair loss generally in majority of the population is an effect of long term concerns of certain kinds. Rarely does one face autoimmune concerns of such a nature. However as an Organisation dealing in Hair loss for the past many years our teams have been able to create programs to support the needs of such cases as well.